Up to 20 percent of the US population will catch the flu this season. That’s a lot of miserable people. Keeping your family healthy can be as easy as following a few simple steps and being proactive against the illness. 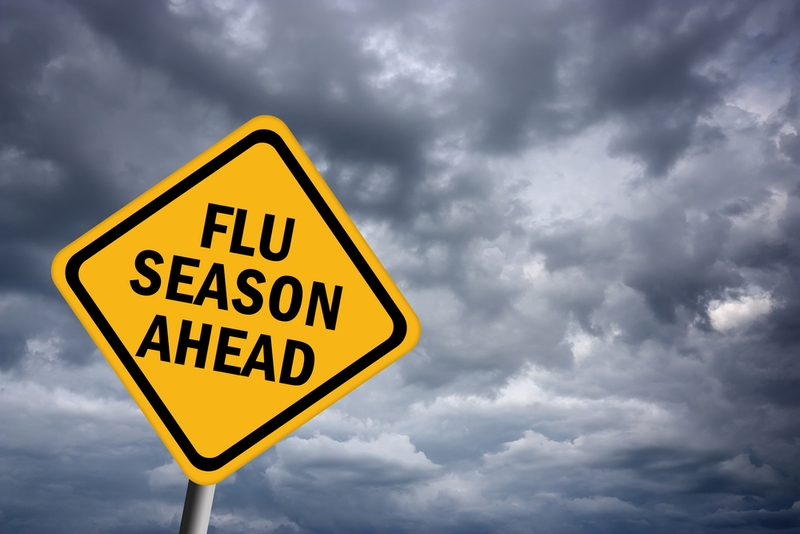 Avoiding the flu when you have young children at home can seem like a daunting task. Especially as they attend school, church, play with friends or just go about normal life. These recommendations from knowledgeable doctors can help you and your family steer clear of the flu this winter season. Read up and stay healthy! Influenza is the only respiratory virus preventable with a vaccination. Why not get one? Most local pharmacies or doctor offices offer them with no scheduled appointment. Insurances also cover flu shots most of the time. A few seconds of your time, and you can be protected. Families with newborn babies, elderly people, or multiple children are strongly encouraged to protect their families against influenza by getting all members vaccinated. If a young infant or elderly person comes down with the flu, it can be potentially life-threatening. Hand washing is essential to not spreading the flu virus. Thoroughly washing your hands means using warm water and soap with 20 seconds of vigorous scrubbing. This includes between fingers, under fingernails, and up the wrists. Teach children to properly wash their hands and remind them to do so often. It can help kids to sing the ABC song while they wash. This helps them know how long they need to scrub. Always use a clean, dry towel for drying. Although hand sanitizer is a useful tool to keep around, it does not work as well at preventing the spread of influenza as proper handwashing. Use it if you need a quick fix and no bathroom is available. But remember, handwashing is best. When you touch your eyes, nose or mouth you are potentially allowing germs and viruses into your body. Many people don’t realize, even rubbing your eye or itching your nose can make you susceptible. Keep your hands clean and try not to touch your face as much as you can avoid it. Foods that will boost your immune system and help you fight off illness include healthy veggies and fruits. Multivitamins and vitamin C supplements are great, but not a substitute for proper nutrition. Look for ways to sneak in some spinach, green leafy veggies or vitamin c packed fruit into your child’s diet. It is best for everyone if sick people take care of their illnesses at home. Sometimes it can seem like you don’t need to take that precaution. However, staying home for a full 24 hours after a fever breaks is not only helpful for your recovery but also considerate of others who do not want to catch the flu. Don’t spread it around! Stay in bed.